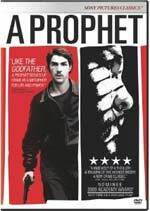 Honored with a slew of awards in Europe and Golden Globe and Academy Award nominations in the U.S., France’s Jacques Audiard’s A Prophet instantly joins Brute Force, Cool Hand Luke and Riot in Cell Block 11 in the pantheon of great prison films. 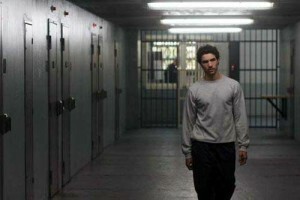 Faithful to the tropes of the prison genre but still fresh in its depiction of contemporary issues and modern storytelling and filmmaking, it’s an engrossing saga about one man’s incarceration and the effects it has on his life and his will to adapt and survive in a hostile environment. In its opening minutes, A Prophet puts us in the shoes of Malik (Tahar Rahim), an illiterate 19-year-old Arab man who’s beginning a six-year sentence in a French prison. Though he wants to serve his time quietly and without any trouble (something I imagine all new inmates would like to do), Malik is quickly coerced into murdering a fellow Arab by imprisoned mobster César Luciani (Niels Arestrup), the head of the Corsican inmate population. Soon discovering that he is disliked by the Corsicans and now not trusted by his fellow Muslims, Malik has no choice but to play up to César, who begins to give his young Arab follower more missions, which include additional murders and supplemental drug trafficking. Over the course of his six-year sentence, Malik earns César’s confidence and rises up through the prison ranks, all while secretly devising his own future for when he’s released. As much a comment on the issues surrounding immigrants in a foreign land and how said immigrants adapt to their new world, this film is at once gritty, violent, intelligent and complex, not to mention outstandingly scripted and acted. This is where I would usually point out that this kind of movie is not for everyone, but not in this case. I actually think it’s worth a look-see for anyone interested in the genre or game to try a foreign-language movie that sets out to tell a rich, full story of one man’s attempt to hold on to — or at least, regain — his life and dignity when the odds are against him. And I don’t think I’m ruining anything by saying it’s a successful attempt. The DVD comes packed with extras too, which is always good.